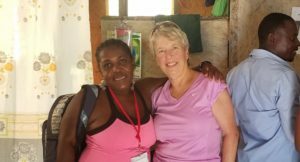 Susi Taylor (pictured right) recently joined PWW for a service trip in Haiti. She shares these thoughts about her experience and the connections she made with children and families. 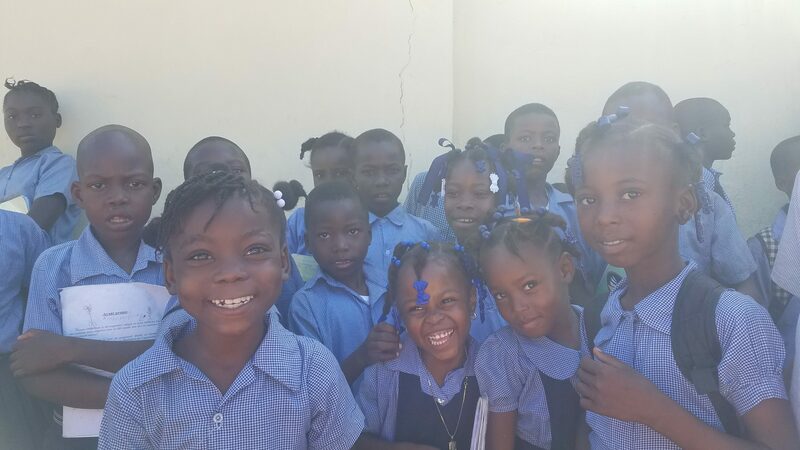 A picture is worth a thousand words, and lots of kids in uniforms – girls with hair ties, braids, and always smiles. It seems many of my favorite memories of children, during my time in Haiti, are not in my camera. My hands were busy doing other things – like holding hands with the kids. I was amazed how open, friendly, and affectionate the young kids were. We were strangers, and there were several of us. It was expected the kids would be curious, but I was amazed when little girls simply held my hand and walked around with no intention of letting go. There were some children who were shy but still were smiling, albeit from a distance. 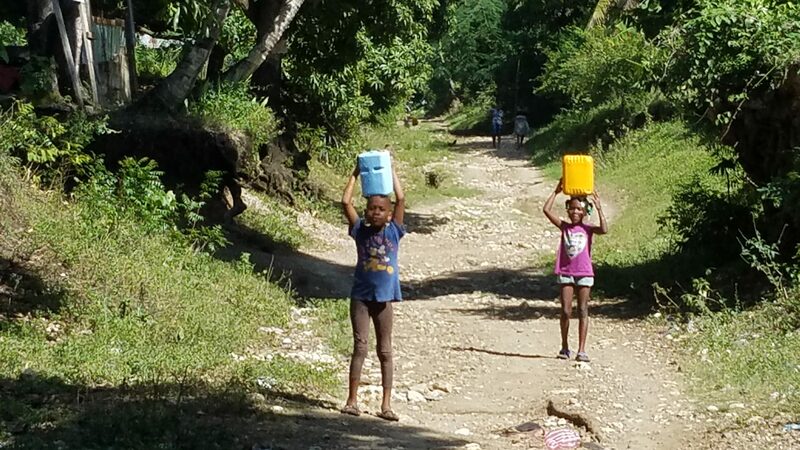 We experienced great curiosity when we were with PWW in the more congested communities in Port-au-Prince. The kids followed us around and just wanted fist bumps, and more fist bumps. What fun it was to have those interactions with the young ones. I believe much of the fun was because the kids simply were curious, friendly and not afraid. But I suspect a large factor was that we were with the PWW team (visible in their blue shirts). This picture shows Bill’s charisma and connection with the kids and a water challenge. We went to places I would never have gone if I were simply a tourist. Because of the standing PWW has created in the country, I felt welcomed and safe in the intimate world of local people’s homes. Kids are a critical piece of water transport. The adults welcomed us with smiles and that factor means a lot on a number of different levels. It felt like PWW was trusted and valued, and consequently the “mission” and education had a good chance of being successful. The biggest take away for me was how much time of their daily lives kids spend retrieving and carrying water. I have fond memories of the kids smiling, laughing and running up and down the rocky, wet “paths” five times faster than us – yet they kept stopping and returning to giggle with us. I cannot find the right words to convey my appreciation for what PWW does in Haiti and for sharing this world with me. Knowing I had a small hand in the life-improving work was such a bonus gift. I will be forever grateful. 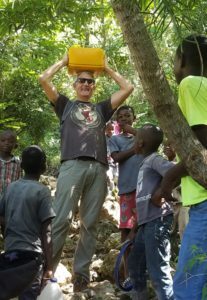 I loved my trip to Haiti and fully intend to return in conjunction with PWW. Thank you! 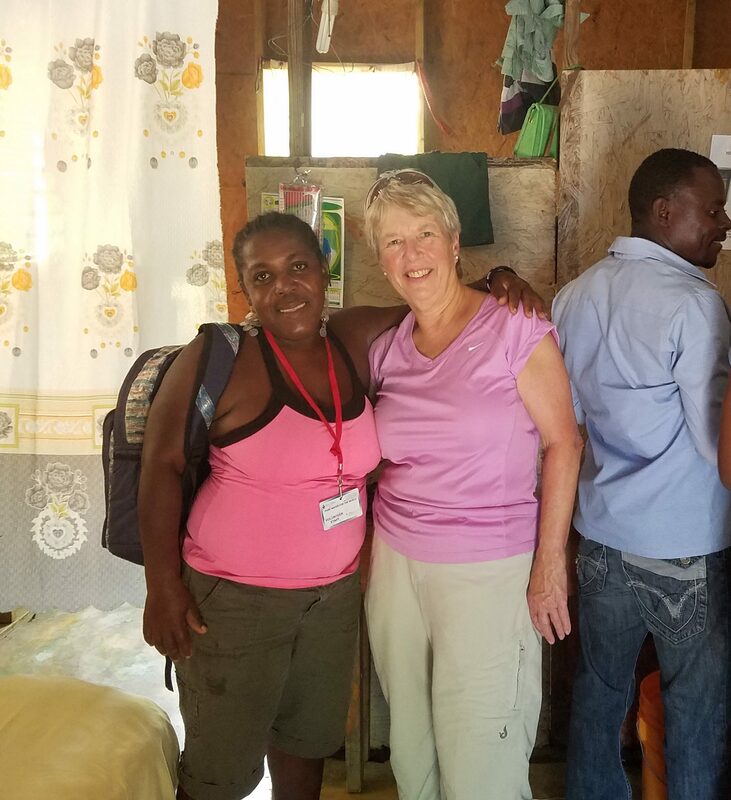 Thank YOU, Susi, for joining our team in Haiti and for giving so much of yourself to help these children and families. You have changed lives forever. Thank you so very much. You can join PWW in Haiti. Learn more about our service trips. Click here. It’s Time for Sesame Street!